Elaine was brought into this world by George and Ruby Cox at the Wolf and Duphorne Hospital in Athens, Texas. The family moved to Arlington where Elaine graduated from Arlington High School and spent most of her life in Arlington and Dallas. Elaine worked in real estate in Dallas and became an art collector with many beautiful and famous works of art. She was an unselfish woman who was involved in countless charities and always gave back to those less fortunate. 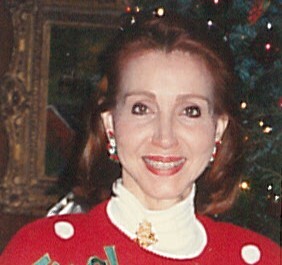 She was a member of the Dallas Junior League and volunteered often for the Susan B Komen Foundation. She served on the board of Lovers Lane Methodist Church where she was a member for many years. After moving to Athens in the mid 1990’s she continued volunteering at several helping organizations. Above all, she was a follower of Christ and a rare breed of a lady. A memorial celebration of Elaine’s life will be held Friday, November 2, 2018 at 2:00 P.M. at the First United Methodist Church of Athens with the Reverend Larry Coulter officiating. In lieu of flowers please make a donation to a church or charity of your choice.